The “Crown” is the part of a tooth visible above the gumline. Sometimes, the length of the crown visible in the mouth is less and gums are more prominent than teeth during a smile (gummy smile). Such smiles look unattractive and crown lengthening is a easy procedure to correct his. Crown lengthening can also be uselful where the tooth below the gums must be exposed to fill a cavity near the gumline or place a new crown on a broken tooth. “Crown lengthening” provides more tooth structure for this to to be done. 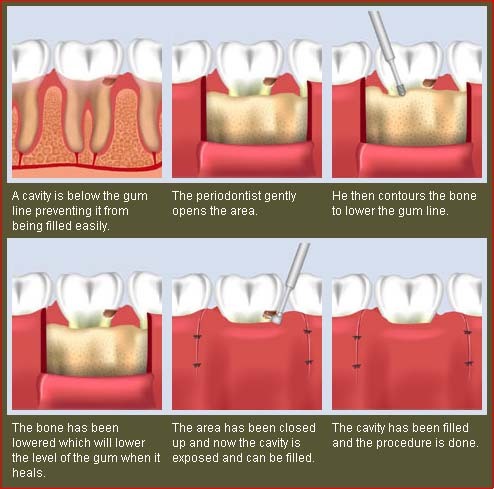 This helps to ensure that the general dental procedure is successful and prevents gum irritation.